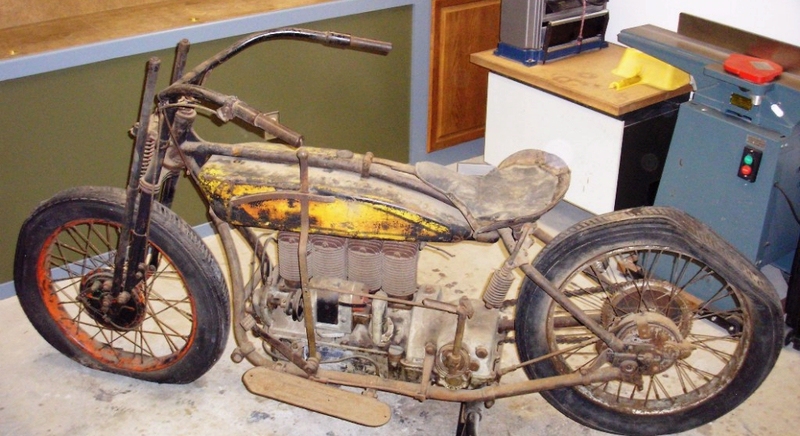 Here is a picture of my 1924 De Luxe I recently acquired, as you can see by the pic, the restoration is almost complete! This bike has been sitting in a barn in the California high desert since 1949, when it was last purchased by a man who had the vision of opening a museum. Never happened, just ended up cluttering up his yard and every shed he owned, now his surviving wife has the endless task of cleaning it all up and I got to help just a little bit.